In 1945, the UK, a country that had been at war for the best part of thirty years, found a way to build a better society for its citizens. Today, it is at a crossroad. This year will be the one in which the welfare state and National Health Service will be fully dismantled by a Conservative government opposed to any sense of solidarity or collectivity. This is a national betrayal, argues Neal Curtis. 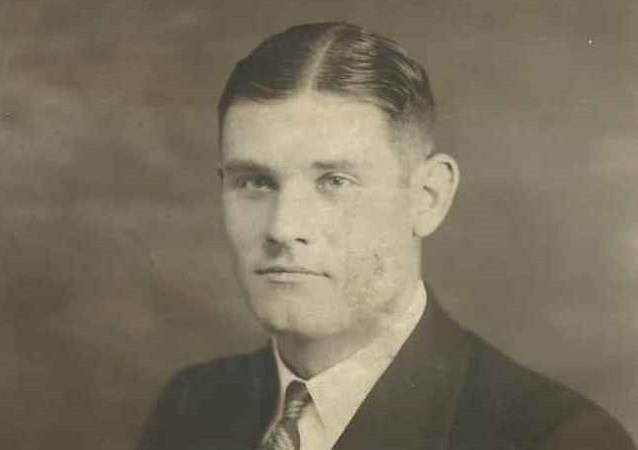 This is my Grandfather, Henry Curtis. He died on 24th November 1941, when the HMS Barham was sunk in the Mediterranean after being hit by three torpedoes from German submarine U-331. Eight hundred and sixty-three men died on that ship. He was also one of half a million British people (and millions from other countries across the British Empire whose families later made the UK their home) that died during World War II. Countless others where injured, traumatised, widowed and orphaned. As a result of this huge “sacrifice”, and responding to the Beveridge Report of 1942, a country crippled by war debt decided to build a better society for its citizens by establishing the welfare system via the Family Allowance Act and National Insurance Act of 1945; the Industrial Injuries Act of 1956; and the National Assistance Act of 1948. The crown jewel of this policy was, of course, and the establishment of the National Health Service in that same year. Somehow, a country that had been at war for the best part of thirty years found a way to invest this money because that is what a state can do. It can decide how to collect money and how to distribute it. After the war, it was decided a more equitable, fair, supportive and social economy was required, and the government of the day set out to build one. While numerous inanimate statues, cold monuments and empty mausoleums were erected to commemorate the terrible human cost of the war, it was the welfare state and the National Health Service that became living memorials to everyone who had given up so much to secure peace and future prosperity. At the heart of them is the recognition that we are stronger when we work together, and that we have a responsibility to support each other in times of adversity. Any time someone receives assistance or care within that system the UK is remembering and enacting that philosophy. Since 1979, that memorial has been systematically attacked by governments who felt the money needed collecting and distributing in a radically different way, and we began a process to overturn these post-war social protections and return to an aristocratic economy in which the common wealth works solely in the service of the rich by accumulating more and more money at the top. This has been done through the dogma of the “free market” and the “rolling back of the state”, which really only means placing state functions in private hands in order to produce shareholder value. This in turn has been established as the only kind of value currently permitted to govern our relations with each other. This process has now reached its zenith or its nadir, depending on your political affiliation. The UK is currently at a crossroads, and the likelihood is that this year will be the one in which this living memorial is finally killed off. The welfare state and National Health Service will be fully dismantled by a Conservative government opposed to any sense of solidarity or collectivity, and who have repeatedly declared society—the very association of mutuality and dependency that contributed to allied victory in 1945—to be dead. The rationale for this, we are told, is that the country can no longer afford it. The cry of “there is no magic money tree” has become the new soundbite of the 2017 general election. This makes no sense, of course, in an age of quantitative easing, which is nothing but the magical creation of money that doesn’t exist. It also makes no sense in an age of bank bailouts and decisions to spend £205 billion on a nuclear bomb to defend ourselves against fanatics blowing themselves up at pop concerts. The magic money tree is real. Its existence can also be seen in wave after wave of privatisation and the bargain basement sale of our collective assets. It can be seen in corporation tax cuts, tax avoidance schemes, and tax havens. Since 1979 successive governments have given the magic money tree to the rich who harvest its fruits by extracting more and more from everybody else as they they put less and less in to maintaining it. Strangely, this is all being done by polical parties who continually fly the flag and make constant claims to patriotism. They even call on the iconography of World War II in their odes to the chauvinism of Brexit. Here, however, the idea of the nation is used to distract attention away from the real causes of our economic and social ills. We are told to hate the foreigner, be spiteful to the immigrant, and condemn the refugee, all of whom are portrayed as a burden and the true source of our new found precarity. Today, the only collectivity tolerated is the mobilization of tribal passions for the persecution of the powerless (unemployed, poor, homeless, disabled). However, there is nothing patriotic in the social vandalism that has got us to this point. Quite the opposite, in fact. The presistent degridation of the idea of mutual aid, and the inexorable drift towards social crisis in the pursuit of personal wealth for the few spits in the face of everyone who contributed to the collective project to defeat fascism. Worse than that, it breathes life back into that heinous ideology. As social protections are withdrawn and the common wealth is depleted, and as the country slips further into a politics of deepening inequality and social indifference, the only way the coming crisis will be managed is through a sharp increase in authoritarianism and an escalation in the the politics of scapegoating through which the anxiety, anger and hostility will be channeled. If the British people reject solidarity on June 8th they will sow division, and history tells us that never ends well. Neal Curtis is an Associate Professor, Media Film and Television at the University of Auckland. He is the author of War and Social Theory: World, Value, Identity (2006), Against Autonomy: Lyotard, Action and Judgement (2001), Idiotism: Capitalism and the Privatisation of Life and editor of The Pictorial Turn (2010). His latest book, Sovereignty and Superheroes (2016), is published by Manchester University Press.